Decided to take a month off of robots… was terrible, would not recommend. 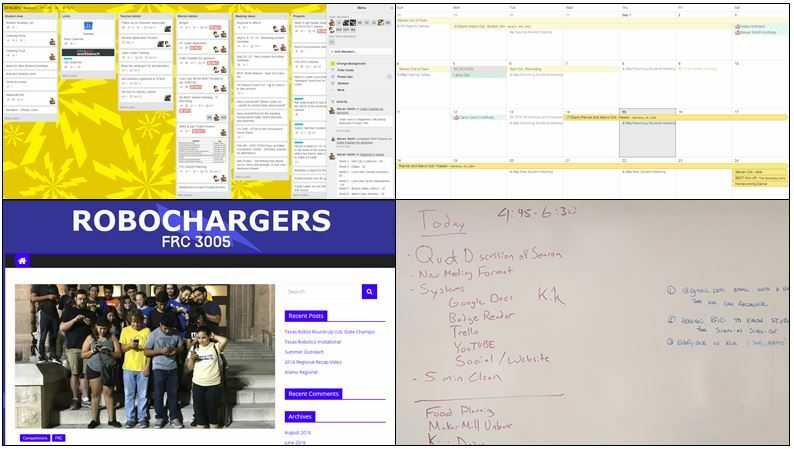 As we rolled back into September, the RoboChargers were excited to prepare for another solid season. The next few weeks will be spent getting the shop in order and working on some preparatory projects before recruiting new students and starting our BEST Robotics competition. Additionally, we were selected as a Beta Test team for a new mini-mill product aimed at the educational sector. We can’t release full details yet, but look forward to sharing everything we learn after the Beta period is over. A repeated goal for each year is to stay better organized, while spending less time “organizing” and more time “doing”. We also want to make sure that students, mentors, teachers, and other stakeholders have a place to get more information about what the team is working on, as well as give input. Additionally, we both want (and need) to increase student leadership of tasks, from recruiting, to room improvements, to simply deciding what we are going to eat at our meetings. The hope is that by tracking our actions as a team, everyone has the ability to see what needs to be done, and step up to help. We were quite happy with how Trello helped manage our build season for 2016. The kicker is always getting people to use it. We started our meeting by setting up every student with a Trello account and a linked Gmail account (professional). We upgraded our Trello to link to our Google Drive as well, so now the Trello can be a “clearinghouse” for everything from checking the calendar, to ordering parts, to putting in suggestions for projects or future meetings. Additionally, we re-launched our existing blog under a WordPress management system. The front facing side changed very little, other than using more of a magazine style theme, but the back-end has extensive plugin support for future plans to add things like forums, a wiki, private logins for team members, etc. Our mentors worked on a TI driven badge reader over the last year. It reads RFID stickers that each student gets, and allows us to more efficiently track who is in the room to maintain attendance records. Fun fact, we have a stack of ~50 sign in forms from March-May 2016 where shockingly… we were more focused on our robot than manually entering attendance. 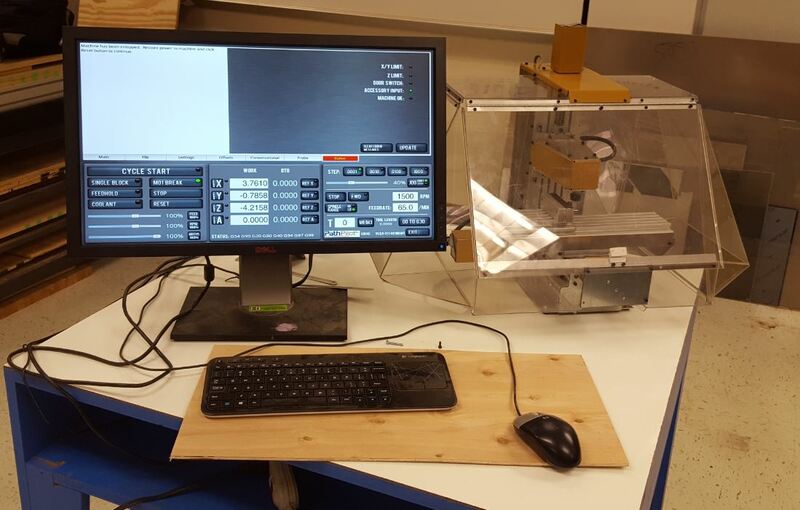 Additionally, we have started testing on a small (30 lb) mini-mill that is targeted at relatively imprecise milling of wood and plastic (by industrial standards), but certainly capable of making parts. Additionally, it is a fairly large leap in complexity to move from 2D CAM to 3D CAM, and it should prove a valuable learning opportunity for students. 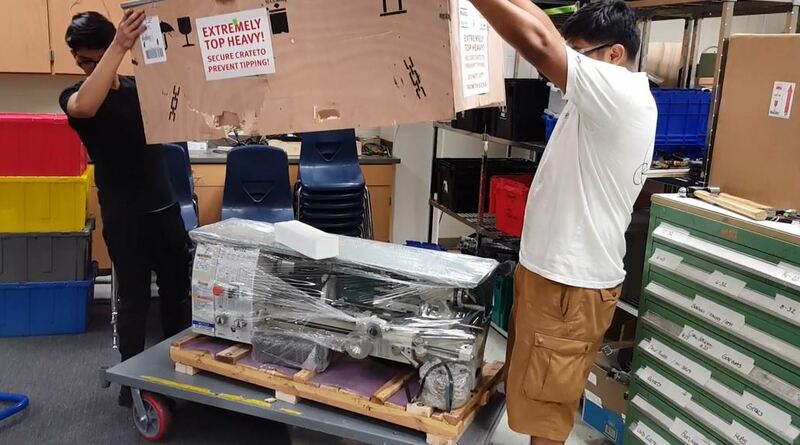 We haven’t done a lot of “true 3D” CNC on our FRC robots (outside of 3D printing), with most of our parts being cut on our CNC Gantry mill, and perhaps bent into a 3D form with a manual brake afterwards.